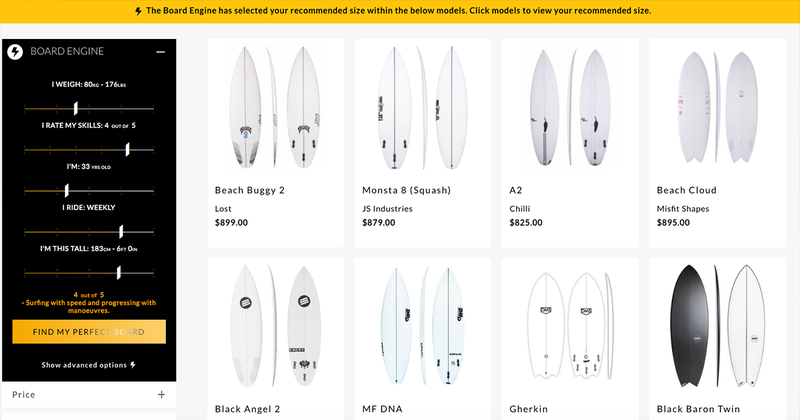 Use the Board Engine to find a selection of the most relevant surfboards to your individual needs. Select from a list of board models recommended from our leading shapers. 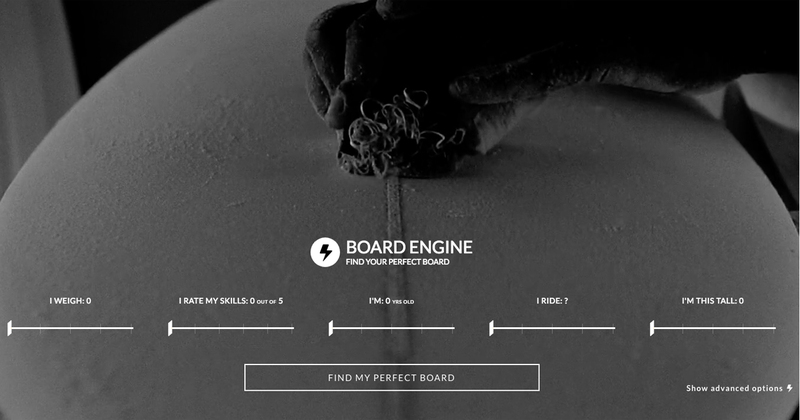 Select a board model to customise directly with your chosen shaper. Select your options to customise your board getting it manufactured specifically to your style and specifications. 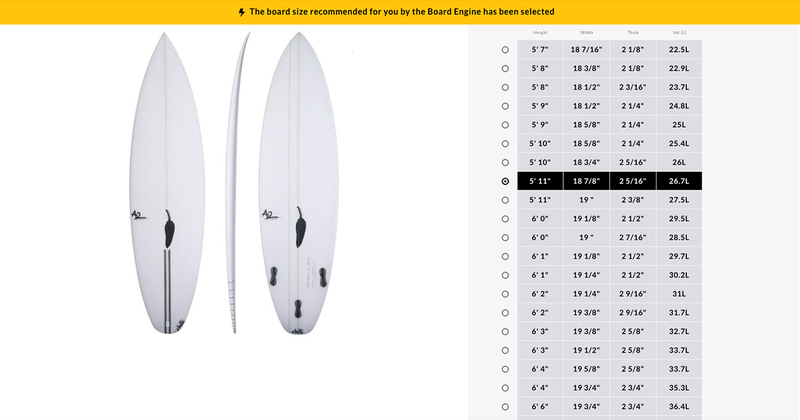 Once you place your order the selected shaper will check the board order is right for your surfing needs. Note: Shapers login and upload all selections (tail shape, fin layout etc) as recommendations to maintain the shapes performance. Surfboards: Boardcave.com ships a lot of surfboards and we enforce a strict packaging policy with our shapers when they pack your surfboard; damages are very rare. In the unlikely case your board is damaged WE GUARANTEE we will cover all the costs, getting your surfboard back to you as soon as possible. Please note, you need to contact us within 24hrs of receiving delivery if there is any issue with your order. If you contact us outside this 24hr window our insurance guarantee is not valid. However, we will do our best to help you resolve the issue. Surf Hardware (Leg Ropes, Tail Pads, Surfboard Fins): All surf hardware (fins, tail pads and leg ropes etc) will be delivered prior to the arrival of your customised surfboard to ensure you are ready for when your board arrives. You will be notified via email when your surf hardware package is on its way. We guarantee that any surfboard price uploaded by our shapers on Boardcave.com is the same or cheaper than any other advertised price online. If you happen to find a cheaper advertised price on an identical surfboard with other aggregators or competitors, we will do our best to match this price. Please Note: Surfboard shapers are selling direct through Boardcave.com with full access to adjust their prices. This means prices are subject to change and may be adjusted at times, particularly during promotions. To inquire about price matching and price beating please contact us at service@boardcave.com if you find any price cheaper than that advertised on Boardcave.com. At Boardcave.com, we are committed to protecting the security and privacy of your personally identifiable information ("PII") in accordance with accepted privacy principles as described below. To ensure the confidentiality of your PII, we use leading security technology and procedures that are regularly reviewed and updated. We will never ask you to send us credit card information by email and we never store any “cvv” credit card security numbers. Our systems are configured with the highest industry standard data encryption and firewall technology. When you send PII to Boardcave.com over the Internet, your data is protected by Secure Socket Layer (SSL) technology to ensure safe transmission. We have conformed to the strict Certification Authority (CA) guidelines to secure our Premium Extended Validation (EV) SSL certificate to ensure the highest level of security for your information. We do not disclose any information about customer orders to anyone other than you the customer or persons who are authorised by you the customer in relation to your surfboard or surf hardware order. For further security and privacy questions please email us at service@boardcave.com. Boardcave.com is an online portal that connects customers directly with Australia’s leading surfboard manufacturers. Each manufacturer manages their own brand profile on Boardcave.com acting as an online storefront. Surfboard manufacturers can adjust their pricing and update their surfboard range and details at anytime. All surfboard model selections have been included by the manufacturer to maintain the performance of each shape and offer the best performance for the surfer. Once you place a surfboard order it gets reviewed by your selected surfboard shaper for final confirmation. This is done as an extra precaution to ensure every surfboard ordered on Boardcave.com is recommended by the shaper. If your selected shaper wishes to make further refinements to your board order after his review, you will be notified for confirmation of the performance changes. As soon as you receive confirmation via email your order will be manufactured to your specific requirements. For further information please email us at service@boardcave.com.